Harbourview-Orangihina reserve runs along the eastern edge of the Te Atatu peninsula. Relaxed walking along wetlands. 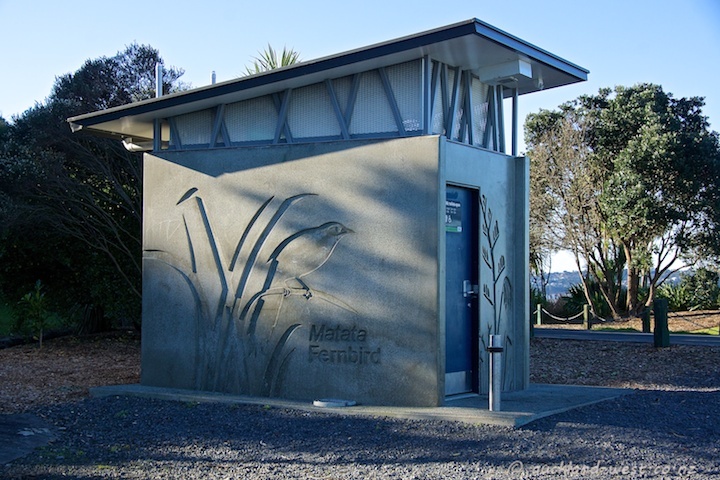 Native vegetation and birdlife. A special bird which makes its home here is the Fernbird, Matata, shy and seldom seen (I have not seen one here, presumably for lack of patience). This convenience at the Harbour View Road end, makes reference to the natural environment of the area.